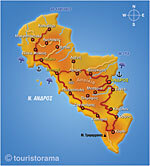 Camping Andros is located in Andros island which is the second largest island of Cyclades. 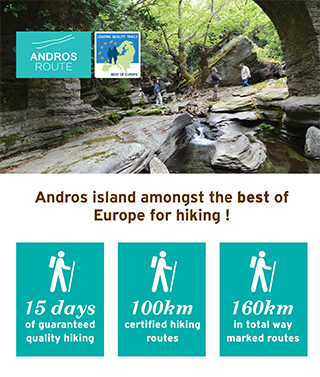 Camping Andros, amid an olive grove, is located 400 meters from the port of Andros, Gavrio town, and 500 meters from the nearest beach.The campsite provides many facilities that will make your vacations very comfortable. It operates from May 1st to September 30th every year and has total of 68 individual pitches to accommodate your tent or caravan and ensure your personal space during your stay.